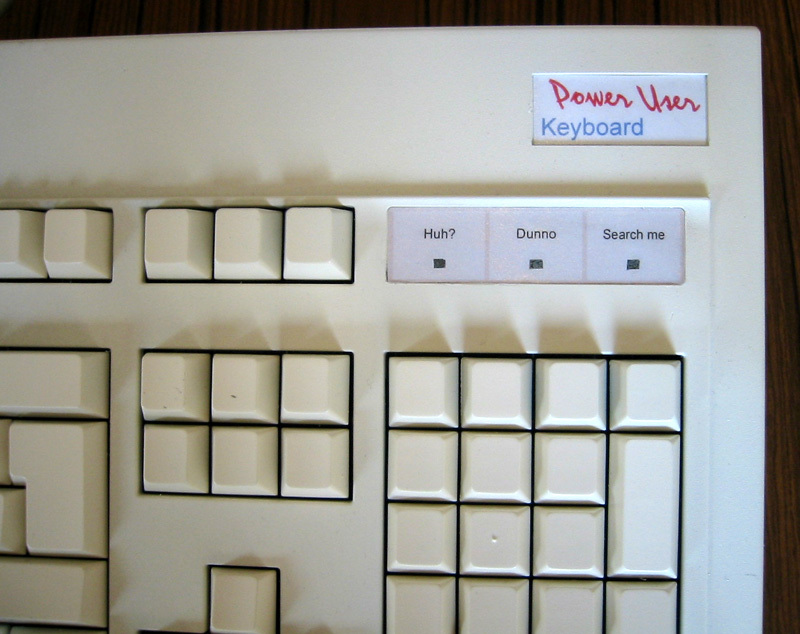 eBay item 5106136518 (Ends 08-Jul-04 20:41:06 BST) - Power User Keyboard pule NO SYMBOLS! Description (revised) Seller assumes all responsibility for listing this item. 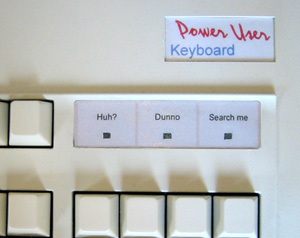 Power User Keyboard - no letter, number or symbol markings! 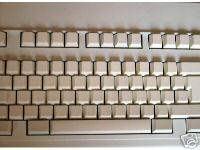 Amaze your colleagues with your knowledge of the keyboard layout! Ideal for refining touch-typing skills. 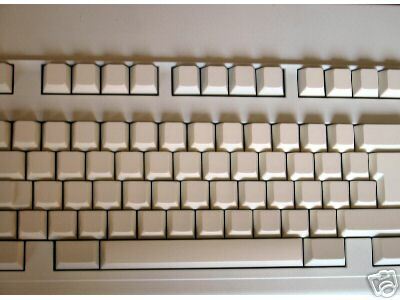 The keyboard takes on a pure aesthetic form when liberated from it's symbols. It is resplendent in beige on beige. The subtle Power User logo reminds others that this is a special piece of kit. This keyboard doesn't just look good - it's a serious, high quality typing machine. 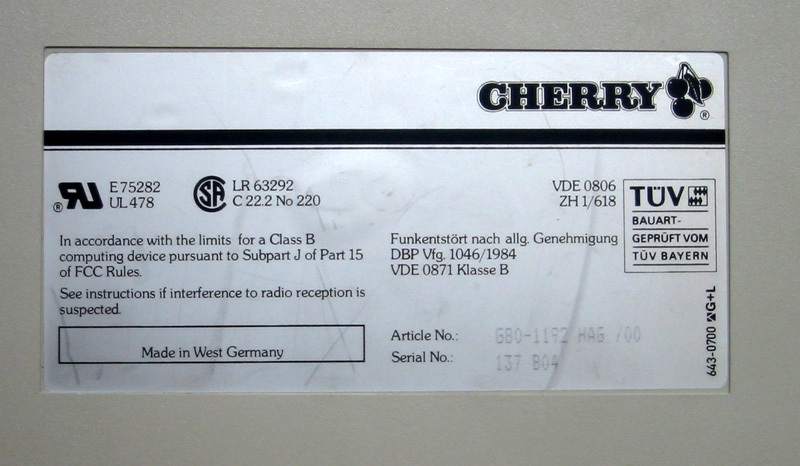 If you remember Cherry keyboards, you will know they are unnecessarily well built. 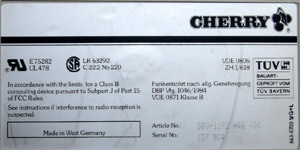 Otherwise, trust in the knowledge that it was made in the same country that forges Mercedes. Easily accessed switches will be handy if you own an obscure 80s computer. The large plug is reassuringly 'old school'. Rest assured, an adapter is included. This keyboard was modified by Nigel Blinman, the famous personality behind Blinman.com. Check out his site to understand what makes this so special. Winning bidder pays postage. I will find out cost and let winner know. Probably about $15 to US. Payment must be received (PayPal) within 7 days, or non-paying bidder will be started.